Place: Luton, Epping or Watford? Description/Historical Information: 2/6th Sherwood Foresters (Nottinghamshire & Derbyshire Regiment). 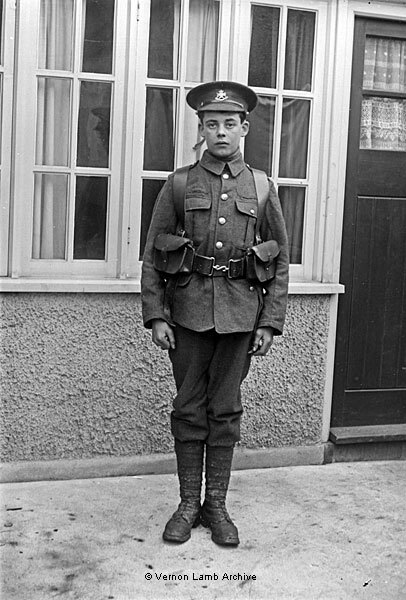 The identity of this very young soldier is not yet known although he is shown other photographs. He was probably standing outside his billet.